At BeMoved, we are passionate about sharing the joy of dance with people of all movement abilities. 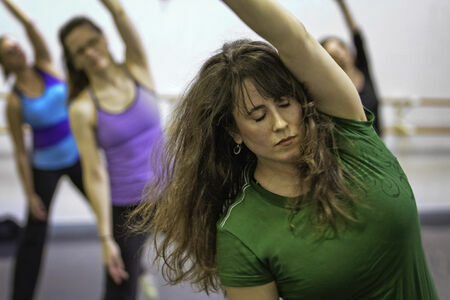 BeMoved is an established dance experience designed by Sherry Zunker for adults of all movement abilities. 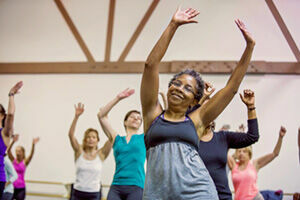 With 18 unique dance genres, BeMoved inspires participants to embrace dance as a lifelong path to health, joy and fulfillment . Our goal is to celebrate the diverse beauty of movement, while also building a sense of community within our class and company culture. We believe that movement expressed through dance and music has a transformative power that enriches a person’s wellbeing above and beyond the well-known physical fitness benefits. The Warm-Up infuses breath and movement through choreographed, artistic sequences that activate core strength and balance while improving flexibility and coordination. The Genre section of class uses continuous, engaging dance combinations to inspire anyone from first-time dancers to professionals. Finally, the Cool Down brings your workout full circle, leaving you balanced in mind, body and soul – feeling rejuvenated. Sherry Zunker is the founder of BeMoved®, a company passionate about sharing the joy of dance with people of all movement abilities. Her belief that movement expressed through dance and music has a transformative power that enriches lives inspired her to create BeMoved. Sherry is an established director and choreographer whose work covers the concert dance realm, musical theater, corporate entertainment, production shows, television, video and film. She has also worked as a creator, director and choreographer on over 35 productions for Royal Caribbean International. From 2011 to 2014 Sherry directed “Chicago the Musical” for Royal Caribbean’s Broadway venture. Her teaching career spans 35 years and is as diverse as the works she has created. 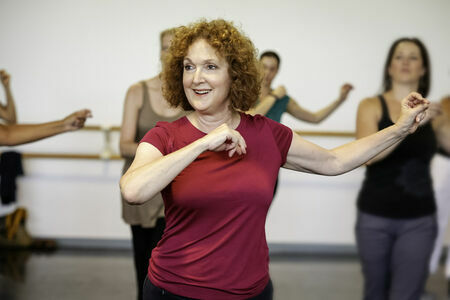 Zunker is also Co-Artistic Director Emerita of River North Chicago Dance Company. 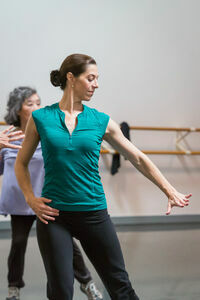 She was Artistic Director of River North Dance Chicago (RNDC) for 11 years. She joined RNDC as Artistic Director in 1990 and choreographed numerous works for the company, one of them being the signature piece “Reality of a Dreamer,” which also became the finale piece for the award-winning televised documentary of the same name. Sherry also commissioned the work of many choreographers to compile the company’s diverse, engaging repertoire. Zunker has set her works on several companies including the Joffrey Ballet and Giordano Dance Chicago.